To ensure an effective gutter system, more and more homeowners are investing in gutter guards. These mesh, wire, vinyl, or aluminum guards are installed over gutter troughs to prevent leaves and large debris from getting into gutters. Gutter guard installation can be costly, depending on the quality of the guard, but many homeowners find that the benefits outweigh the initial installation cost, and we at Van Martin concur. Some of the benefits of gutter guards are listed below. 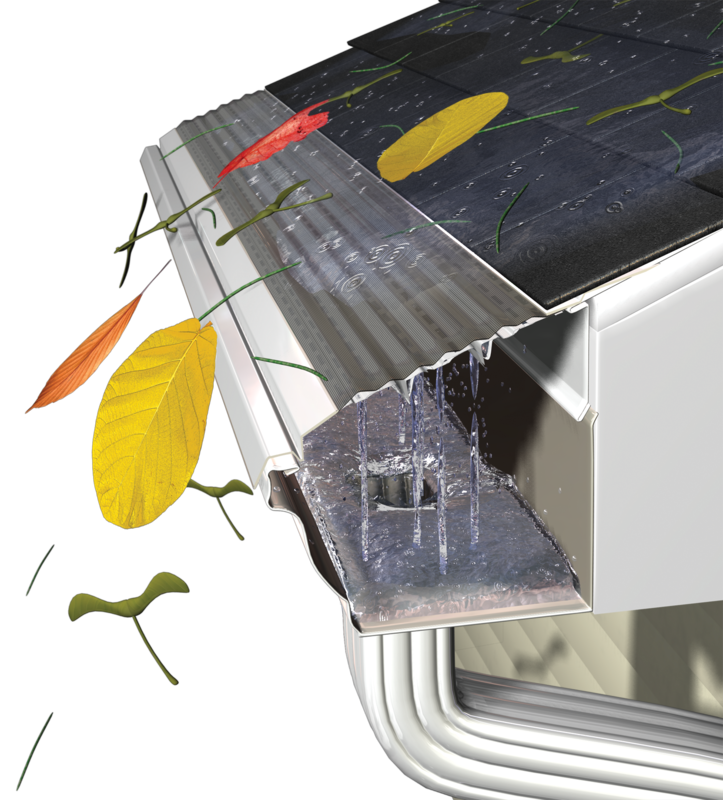 Clogged gutters are less likely with gutter guards. Larger debris and leaves can clog gutters, leading to an array of problems, such as flooded basements, mold and mildew, and yard erosion. Also, clogged gutters can cause pools of water which can serve as breeding ground for insects, such as mosquitoes. Given the danger of the West Nile virus, homeowners should be wary of such breeding grounds. With gutter guards, gutter maintenance is much easier. Normally gutters require cleaning twice a year, in the spring and fall. If gutter guards are installed, cleanings are required less often and are much easier to accomplish. Less gutter cleaning also means less of the safety risk that comes with gutter cleaning, from working atop a ladder. Gutter guards can prevent rusting. If wet debris resides in rust-prone gutter troughs, the troughs can prematurely rust. Gutter guards prevent accumulating debris, and therefore can prevent premature rusting. In the winter, gutter guards help prevent freezing. If water gets trapped in a gutter during the winter, it can freeze and cause blockage, which can lead to water seeping into the home. Gutter guards provide excellent fire protection. For homeowners living in areas prone to bushfire, fire protection is essential. No debris sitting in gutters means that no material will catch fire from floating embers. For more information about gutter installation and maintenance, contact Van Martin Roofing at 937-222-7855 or through the Van Martin website. Van Martin Roofing is a certified, locally-owned roofing contractor with the expertise and experience to handle all of your Dayton, Ohio roofing needs. Contact Van Martin for all of your Roofing needs! Call us at (937) 222-7855.